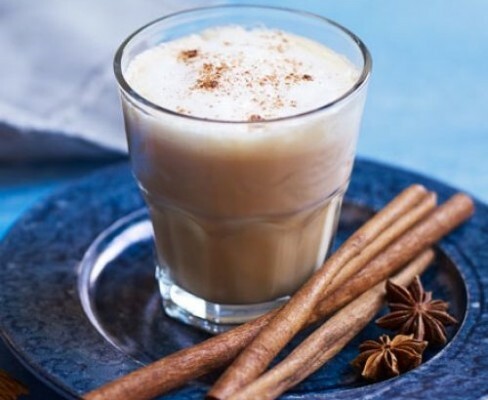 Chai is something of a phenomenon that has gripped the globe in the past few years. It has become more popular in cafes the world over. Yet we’re still faced with low quality products in the same commercial establishments that bring us over sugared drinks to mask natural flavouring. In a nutshell Masala Chai is a flavoured tea, made using a blend of aromatic spices and black tea. Originating in the Indian subcontinent it translates from Hindi into ‘Tea’. Referred to commonly as Chai tea funnily enough describes it incorrectly as tea tea. Chai Lattes are a variation of this using steamed milk we have the pleasure of serving in our east london coffee shop haven. In its ugly past and partly present, powdered forms have flooded the market. Tarnishing it with a reputation as an instant, cheap, partly artificial and low quality product. Leaving a gaping hole in the market, Prana Chai was born offering something of superior ilk. Prana Chai uses all natural ingredients that are cooked and drenched in honey for natural sweetness. Its authenticity is further enhanced by being freshly made everyday in Melbourne, where it is distributed all around the world. This love and attention has made it not only award winning but of speciality quality and taste. Producing a perfect balance of moreish and spicy sweetness. In a 4 year travelling stint 2 of the founding fathers of Prana Chai (Vincent Conti and Mario Minichilli) discovered authentic masala tea in its motherland of Asia. They would perfect this new found knowledge with their own recipe in Australia. Later teaming up with Koray Gencel to bring it to the masses with their now award winning brand ‘Prana Chai’. 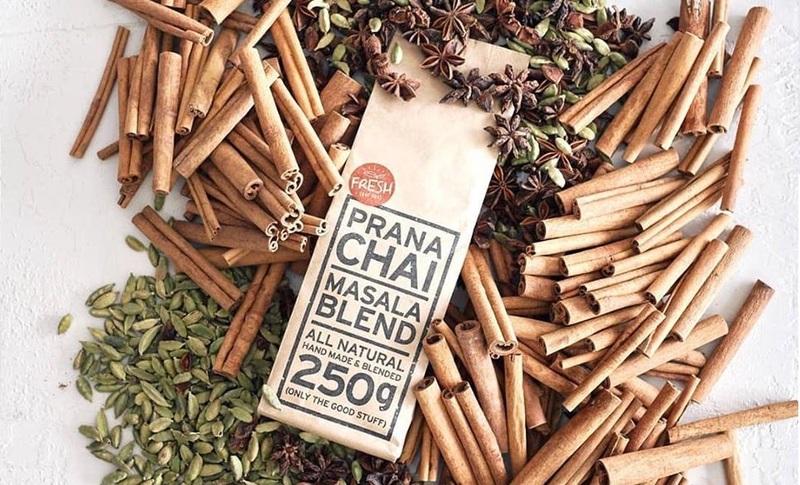 Whilst better Chai products are becoming more apparent in the market, Prana Chai for me has set the bar as the brand that changed the game. Its great taste is unparalleled with its authenticity and originality stemming from its Indian heritage. As the quality of living continues to rise….so does the need for quality products like this one. To further drive this movement, we permanently offer it in our coffee shop and online to give it the brand the exposure it deservedly needs. So shop here for some damn good Chai and familiarise yourself with the guys that made it all happen below. This entry was posted in News and tagged chai, prana chai, tea.